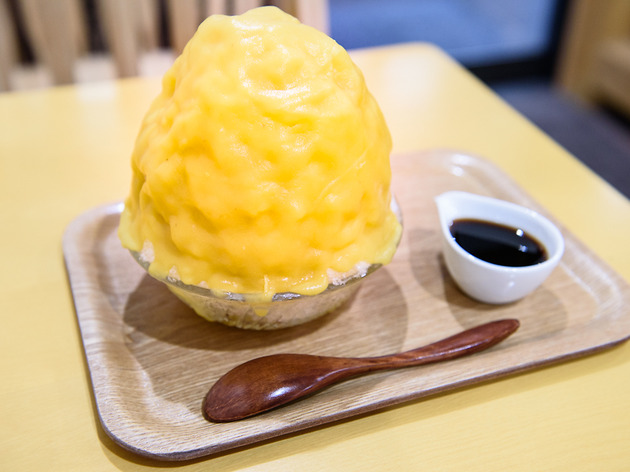 A quintessential part of Japanese summer, shaved ice or kakigori has enjoyed newfound popularity in recent years, with traditional shops getting competition from trendy newcomers (Roppongi's Yelo comes to mind) and premium outfits from the provinces. 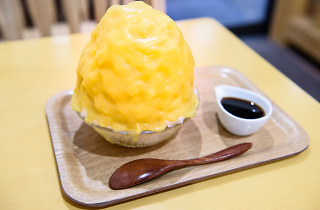 This 'shaved ice workshop' is another upstart, opened in June 2014 in Sugamo, known as 'Harajuku for grannies'. 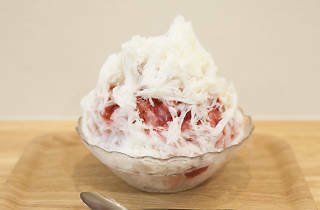 Don't let the location put you off though – the natural ice comes straight from Nikko's famed Shogetsu Himuro, and the signature strawberry milk kakigori (¥800) is heavenly. 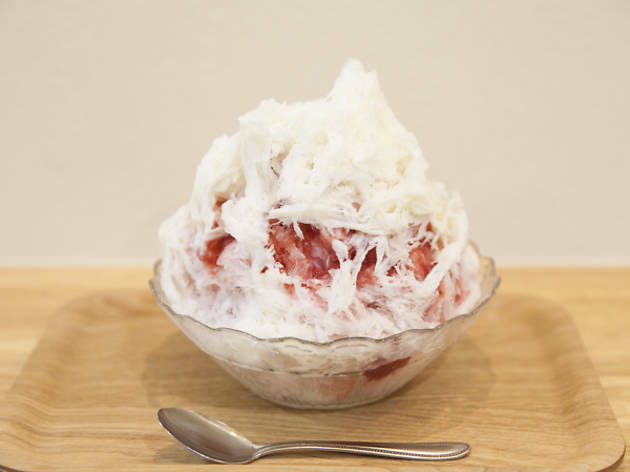 You may not care for the anno-imo (a kind of sweet potato) or natto kinako (!) varieties, whereas the Taiwan-style milk-flavoured ice is actually pretty good.